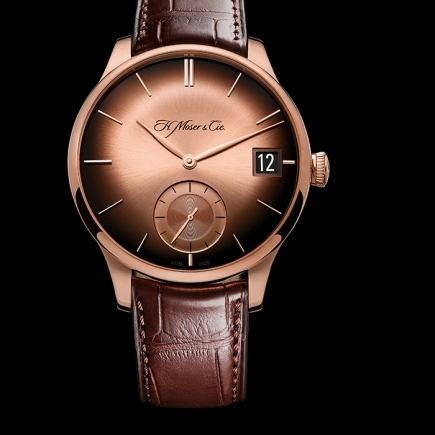 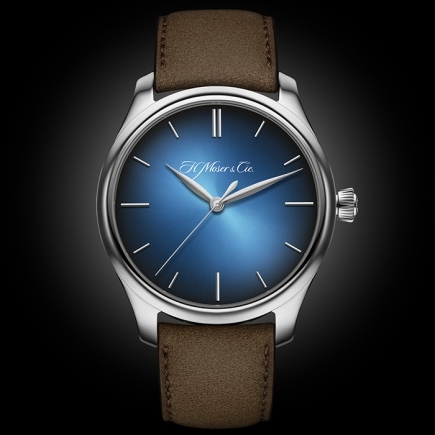 H Moser & Cie | 62'900 € Tax inc.
Bewitching, fascinating: the Venturer Smoky Sapphire is a unique and dazzling reinterpretation of the famed H. Moser & Cie. fumé dials – dials that are an integral part of the company's design codes. 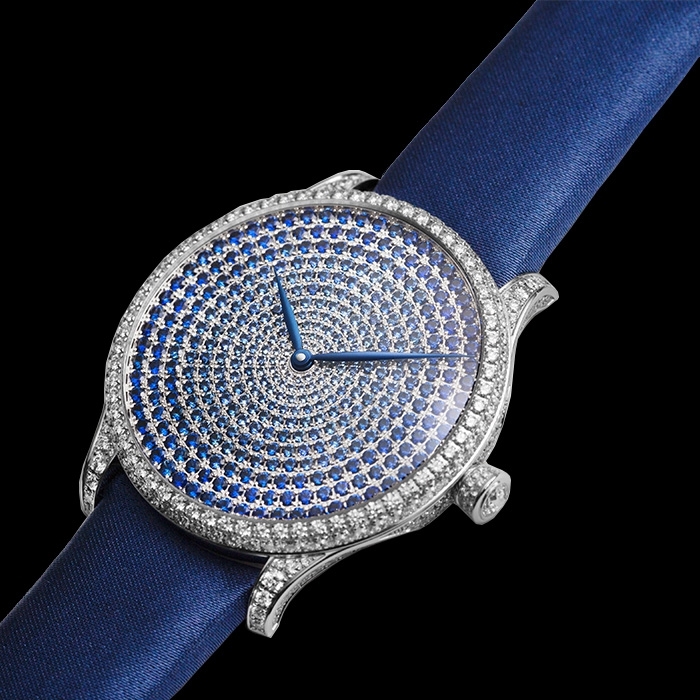 Only the most beautiful sapphires were selected to adorn the dial to create a stunning colour gradation effect. 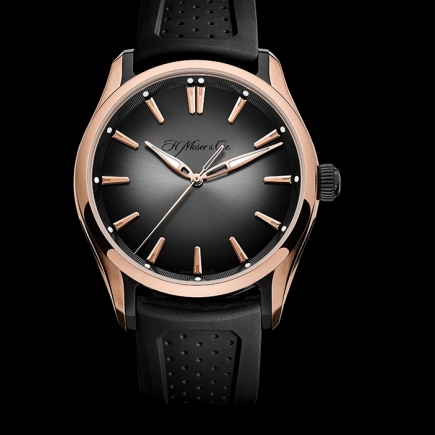 On the bezel, lugs and side of the case, diamonds soften the clean, minimalist lines of the Venturer collection, inspired by H. Moser & Cie.'s historic pocket watches and by the convex shapes typical of the 1960s. 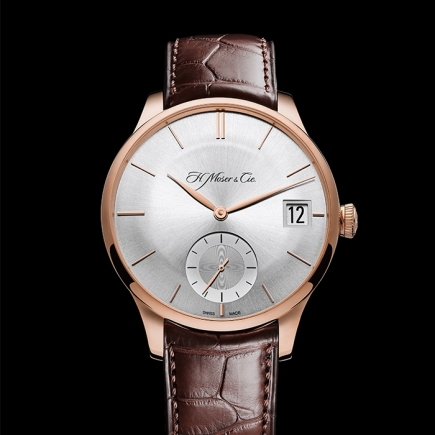 Beneath the curved sapphire crystal, the dial sparkles and accentuates the extremely refined lines of the bezel. In 2015, H. Moser & Cie. introduced its Concept Series of watches that distinguish themselves from the current watch industry trend to increasingly use logos and other marketing devices. 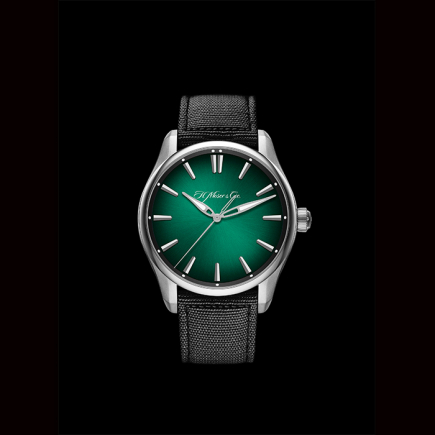 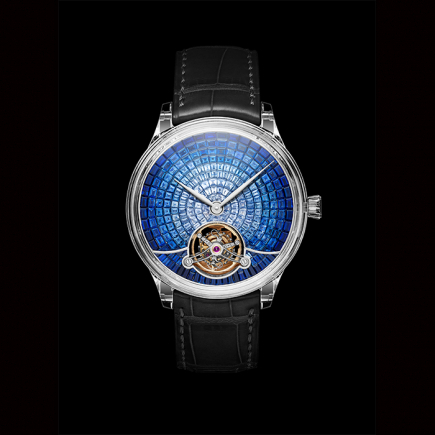 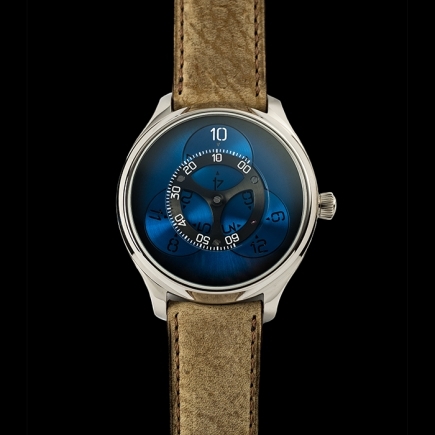 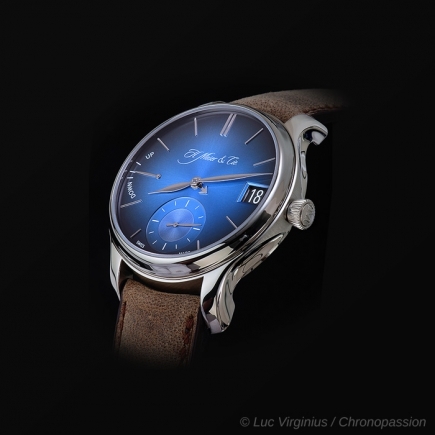 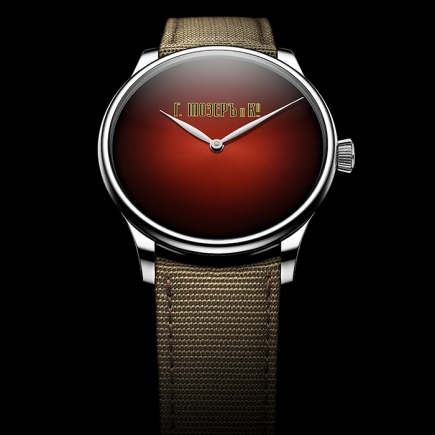 Like this series, the Venturer Smoky Sapphire features neither indices nor logo. 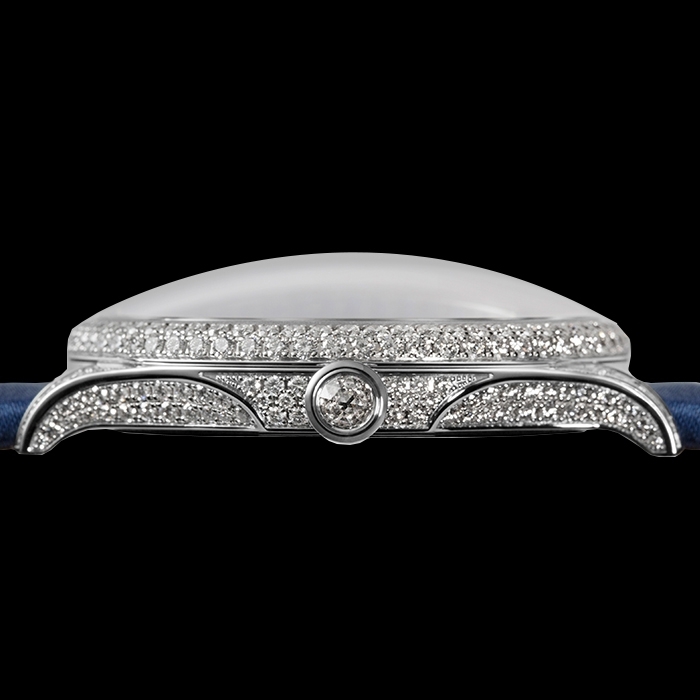 The watch itself remains the focus; the stones that decorate it are advertising enough and ensure that it is immediately recognisable. 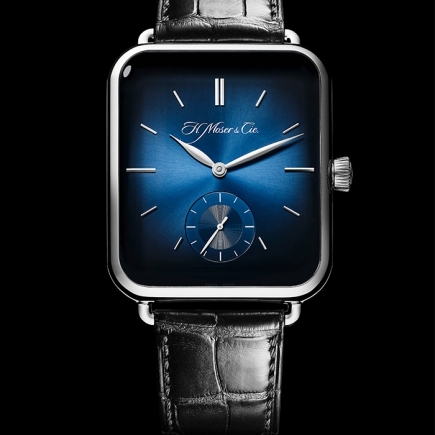 At the heart of this piece, beneath its hypnotic blue dial, beats the hand-wound HMC 327 Manufacture calibre. 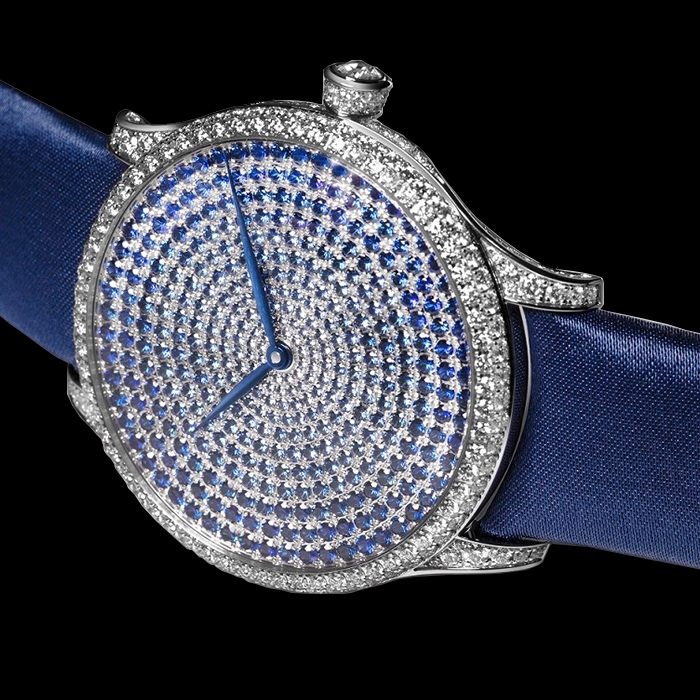 Reference 2327 0205, limited edition of 20 pieces, white gold case with 313 brillant cut diamonds, gradation effect dial, hand stitched kudu strap.